The aim of the study was to evaluate the anticonvulsant and neuroprotective activity of Cocculus laurifolius D.C leaves in albino wistar rats against strychnine induced convulsions. Initially the extract was investigated for acute oral toxicity testing in order to examine any signs of toxicity and mortality. For anticonvulsant activity, the ethanolic extract was evaluated at doses 200 and 400 mg/kg, p.o. against strychnine induced convulsions model, at 1, 7, 15 and 30th day of treatment. Meanwhile, the neuroprotective effect of the extract was investigated via histopathological assessment. Cocculus laurifolius (200 and 400 mg/kg, p.o.) exhibited anticonvulsant activity as indicated by significant delay in the onset of convulsions and time to death after strychnine induced convulsions. Similarly, significant reduction in the duration of convulsions and percentage of mortality was observed by ethanolic extract (200 and 400 mg/kg p.o.) at 1, 7, 15 and 30th day of test sessions. Furthermore, Cocculus laurifolius leaves (200 and 400 mg/kg p.o.) 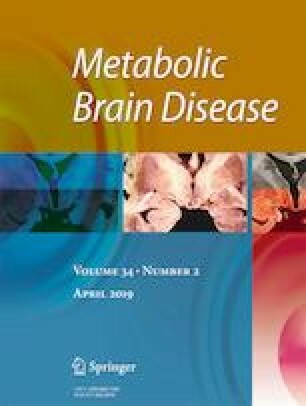 also exhibited neuroprotective effect with considerable preserved neuronal structures and significant decrease in neuronal apoptosis, in comparison with control. The results obtained from the present study indicate that ethanolic extract of Cocculus laurifolius leaves possess potential anticonvulsant and neuroprotective effect against strychnine induced convulsions. Therefore, it can be concluded that Cocculus laurifolius leaves may be a valuable in management of epilepsy, however further studies are required on large number of animals to confirm these findings. Authors are grateful to Hafiz Muhammad Ilyas Research lab (HMI), Hamdard University, for technical support and assistance. The authors are thankful to HURC for financial assistance to conduct this research. All the research protocol, procedures, euthanasia as well as ethical clearance were approved by the Board of Advanced Studies and Research, Hamdard University, Karachi. The animals used in the study were handled as per specifications described in Helsinki Resolution 1964. The acute oral toxicity test was conducted according to Organization for Economic Co-operation and Development (OECD) guideline 423 on Swiss-albino rats of (200–250 g) (Class, 2001). In the present study, all research protocols, animal screening and euthanasia procedures are approved by the Ethical Review Board (ERB), Hamdard University. This study protocol was also approved by BASR (Board of Advanced Studies & Research), Hamdard University.